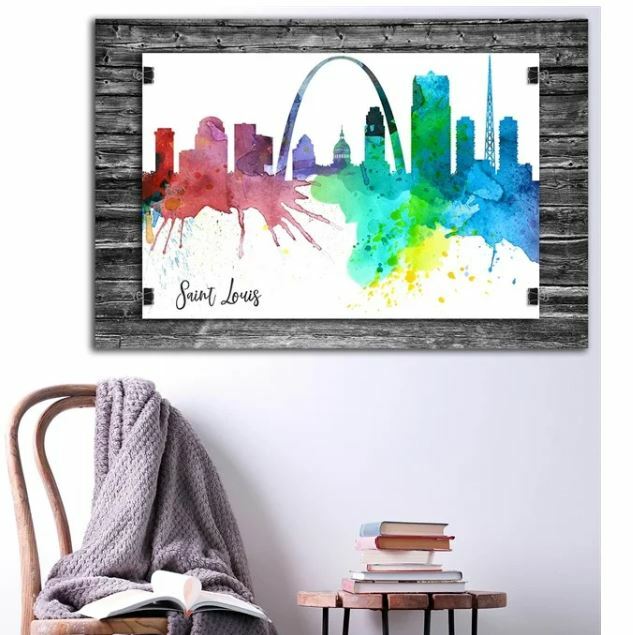 Check out these Watercolor City Prints available in 7 sizes for just $5.25 (Retail $39.99). Big, beautiful and ready to frame wall art! Available on beautiful artisan quality thick matte paper. Perfect for updating your home for 2019. These bright colors on large posters – are absolutely stunning! Show your passion for travel and adventure with fun unique watercolor city silhouettes. Cool watercolors always make for stunning and unique wall decor for your home or office. Celebrate your honeymoon destination, your favorite city, your wanderlust, your hometown or heritage. For this deal, for the first time, we are offering 6 different sizes: 5×7, 8×10, 11×14, 11×17, 12×16, 12×18 or 13×19 – all for the same low price! From New York to Salt Lake City – these prints really are stunning – and with 60 cities to choose from, there is something for everyone! Either buy a frame at your favorite retailer or have a look on Pinterest for an easy DIY framing project – we were able to make a gorgeous frame with the ideas we found, with just a few pieces of wood, some twine, a hot glue gun and a nail to put in the wall! The images are printed using fade resistant inks, on matte finish card. A frame is not included with your order. Your print will be shipped in a rigid mailer to ensure safe arrival at your home. Images shown are digital versions of the illustrations, due to this fact and the variation of screen monitors, it is normal that colors might be slightly different than those on the physical print(s) you receive. Shipping is $3.69 for the first item and $0.69 for each additional item.